We thank you for choosing to travel with RideAlly and appreciate that you are among few who do care about society and environment. At RideAlly, we are continuously trying to start new routes, improve our services, maintain timings, provide trusted drivers and give best value for your money. Same time, we do need your support in making this concept a reality and success so that we as a society gains. Shared taxi do come with few catches like, you may need to adjust your timing to match with others, you may need to be ready before taxi arrives, you may need to respect others privacy and give the space, etc etc. We appreciate the fact you are with us and ready to take that little pain on freedom to build long lasting relationships with fellow commuters. If you wish to try our services before taking up weekly services, please contact to our customer care. The minimum age for using shared taxi is 18 years for both men and women. Company will not be responsible for any losses in the Vehicle. Users can share his/her route and travel timing with customer care @ (080) 4600 4600 or online so that we can provide best possible route to the user. 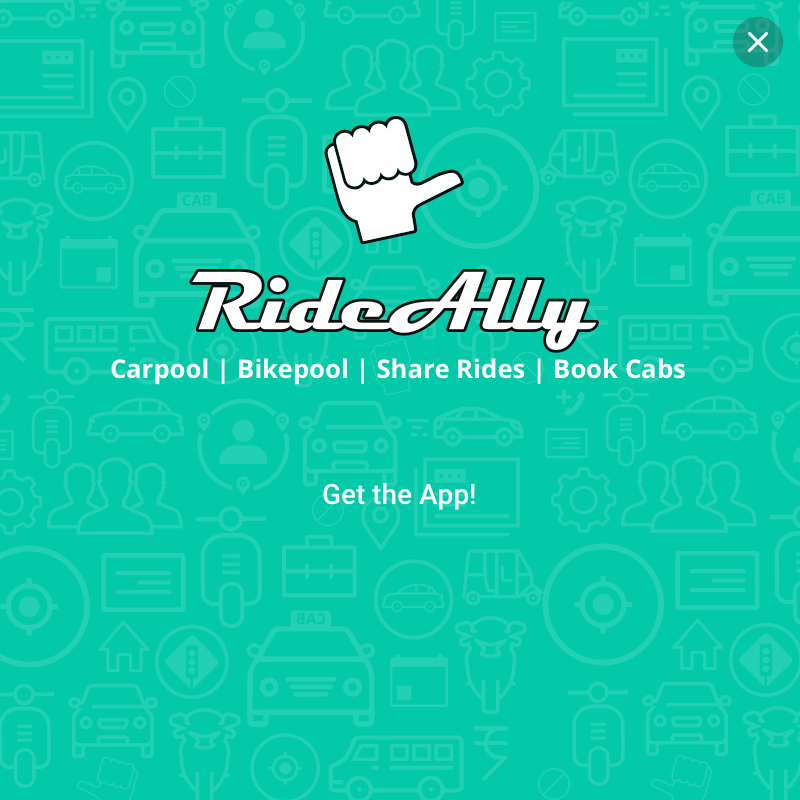 You agree to share rides with one or more persons however you can know about your co-passengers in advance. We start a route once we have received minimum 2 requests from similar source to similar destination within 15 min time frame. We try to keep pickup and drop points within 2 km or on the way to the destination. If we don’t get 2 requests from same place than we try to club the user with someone who is coming from far and the user’s location is on the way only. We try to group up to 4 passengers on best effort basis however user may need to travel with full capacity of the vehicle. We try to operate multiple cabs on a given route so that user can have flexibility in choosing the time (Start time from home and office) etc however it depends on number of requests on a given route. Services are provided from home to office and office to home only. User can choose their own preferred time to travel (start from home and start from office) and we try our best to provide cab at their preferred time however our customer care would get in touch with you in case we are not able to provide cab at your preferred time. Females can share only with females. If we have only one request from a female and another request from Male for same route than our customer care calls the female to understand her preference. Everyone including females are assured of safe and secure travel. For the safety and security, we request each user to provide complete profile information in true manner. We ensure that user’s mobile number and email-id is verified. For shared taxi services, we may check additionally Govt. ID proof, Company ID proof and Passport size photo. Daily and Weekly passes are issued only after submitting Govt. ID proof, Company ID proof, Passport size photo online. 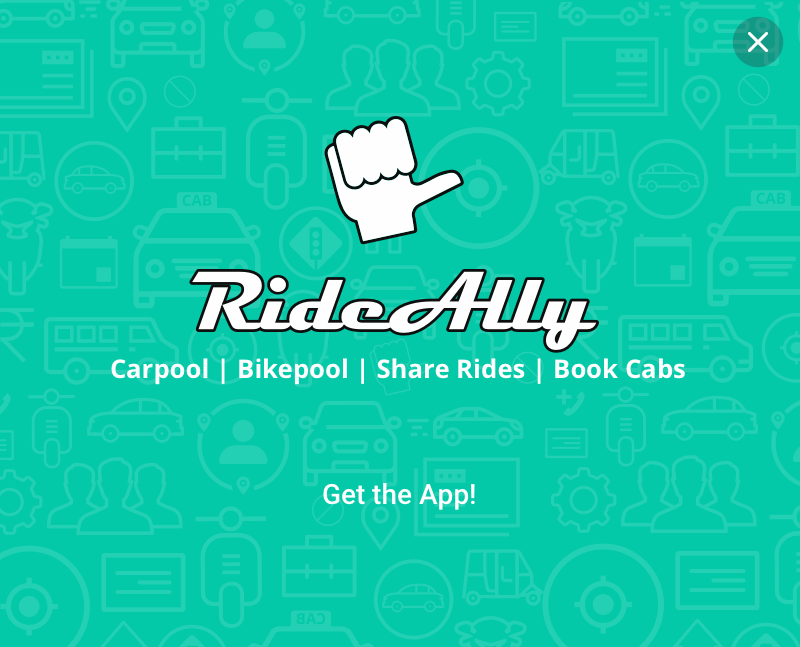 Only completed profile user, gets access to shared taxi facility. Taxi driver will NOT be able to wait for more than 5 mins for the user(s). If other user has any issue then cab may leave after waiting for 5 mins. We prefer that user is already at the pick-up spot. If user comes more than 5 mins late than late payment fee of Rs 20 per minute would be applied. This is applicable only when other users agree to wait for the person. For First pickup, it would be strictly applicable. We try our best to reach on time or before at user’s location however sometimes due to specific situations like heavy traffic, rains, strike rallies etc, vehicle may get delayed. In such case, our customer care will try its best to inform you if vehicle is late. Alternately you may get in touch with driver to understand where he or she is. If our taxi is delayed by more than half an hour than we would reimburse 6 Rs/Km for the distance to your home or office. You can avail that in subsequent trips. There wont be any cash rewards for the same. This policy is not applicable incase of strikes, incessant rains, and any other act of God which is beyond our control. Minimum payment is for 15 km distance. Even if you are travelling for only 5 Kms than we would be charging for 15 Km distance. Distance is calculated from exact pickup point to drop point. Services are provided from Monday to Friday. Sedan AC vehicles will be available. Daily and Weekly passes are available. One can also take passes for many weeks at one go. * Above rates are applicable when vehicle is running at its full capacity. Users would pay to Rideally A/c at least 1 working days before start of travel for Weekly passes. Daily passes are issued only if slots are available. In case of cancellation of services, please inform at least 7 working days before. User cannot cancel within a week. If user wishes to travel only 2 days in a week than we suggest that user buys only daily passes. If user wishes to change it’s time to start from home or office than it is provided in case of availability. There is no extra charges for this. In case if any customer wants invoice ,5% GST extra will be charged. If user has taken 4 week or more plan and user wishes to take one week off than it is allowed provided user informs us at least 5 working days in advance. RideAlly team reserves rights to change the promotional offers at any time without informing in advance.